Harriet Brookes from Manchester sent a message to friend where she made the bizarre claim which was later shared on the internet. The group chat opened with: ‘Right guys. 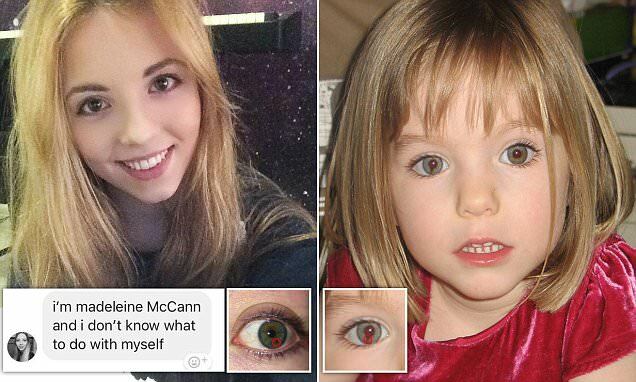 I don’t usually believe in conspiracy theories but honestly I think I’m Madeleine McCann.’ Ms Brooke faced criticism for her claim on social media, however she has responded with another post suggesting the messages were meant as a joke.